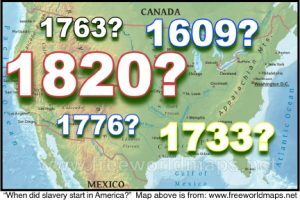 When did American slavery start? On Friday, Gladys Caines-Coggswell introduced us to the story of Adeline, Missouri slave girl and her family. On Friday, Gladys Caines-Coggswell introduced us to the story of Adeline, Missouri slave girl and her family. Afterwards, a member of the audience asked Gladys when American slavery started. There were several ideas given in the discussion that followed. What would your answer have been? Jamestown in 1609? The southern colonies around 1763? Virginia in 1776? Missouri in 1820? The short answer; there was probably no single starting year, or place, it just gradually evolved over time. See the “answer” at the bottom of this page. 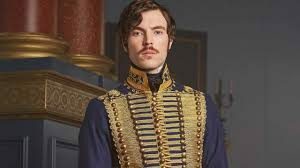 Prince Albert in the PBS series “Victoria” spoke out against slavery. “Victoria” featured Prince Albert coming to the support of the British Anti-Slavery Society on Sunday, Feb 12, 2017. On Friday Feb 10, at the SCHS daytime presentation of “Adeline,” an audience member asked, “Why did the British outlaw slavery before America?” See a possible answer at the bottom of this page. 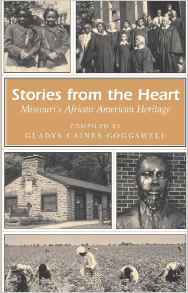 Daytime presentation at Grant’s View library, “Adeline” by master storyteller and author Gladys Caines-Coggswell. 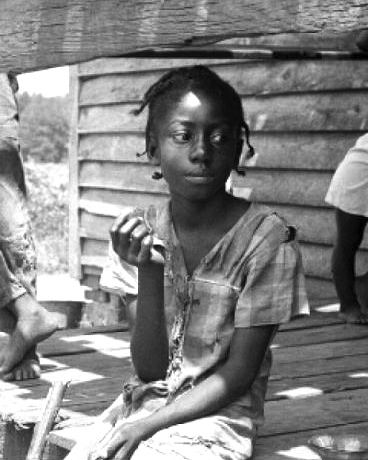 The story of Adeline, a slave in Savannah, Missouri. Adaline was present to hear Abraham Lincoln debate political opponent Stephen Douglas and was freed after the Civil War, yet she chose to stay with the family to which she had been sold. This performance is presented by the Missouri Humanities Council, Grant’s View library and Sappington-Concord HIstorical Society. The presentation will be in meeting Room 1. Registration is requested by the library. See the library event web page. Gladys Caines-Coggswell took a relaxing stance as she carefully led us through several generations of Adeline’s family, stories of slavery and life. The five photos below are by Kara Hayes Smith of St Louis County Libraries, photographer and graphic designer. 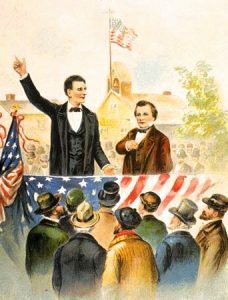 How did Adeline happen to see the Lincoln-Douglas debates? What did she think of the debates? Was she educated? Could she read? Why did Adeline not leave the family that held her as a slave when she was free to do so after the Civil War, that is, emancipation? How did freedom change her life after the Civil War when she stayed with the family that had held her? How do we know of Adeline’s life? 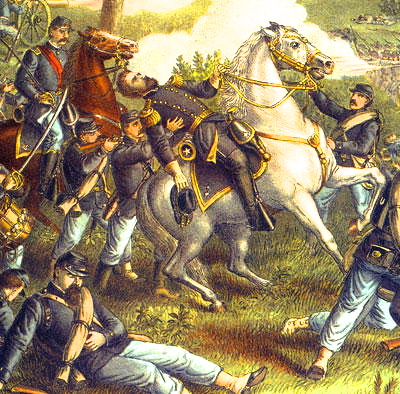 Did Adeline and her family have fighting in their area during the Civil War? In 1979 when Dr. Gladys Caines-Coggswell had her first storytelling performance, she told one of her own stories of a miraculous transition from victim to victorious. She had people crying, laughing and inspired. As a media favorite, her dynamic performances, workshops, speeches and books have been written about, televised and highly recommended to event planners. Her stories have brought audiences to their feet. She is one of the nation’s leading experts in the areas of inner healing, humor, violence/substance prevention stories and story based seminars. Gladys has held the title of Missouri’s Master Storyteller nine times through the Missouri Traditional Artist Apprenticeship Program. She is listed in the Missouri’s Touring Roster booklet and has been the subject of numerous articles, several television specials and books. There have been numerous joys that have highlighted her career – among them, telling in China and at the National Storytelling Festival’s Exchange Place where she received a standing ovation from over 2,000 appreciative story listeners. She later became a “Featured Teller” at the National Storytelling Festival, and a “Teller in Residence” at the International House of Storytelling. However, nothing can compare to the unconditional love she receives from all of the young children and adults. They let her know they want to hear more. Then they ask, “When are you coming back ?” They let her know that she is doing the right thing – STORYTELLING. Now Gladys has put on another hat. She performs powerful historical role of Adeline, Mother Martha Chisley Talton and Lucey Delany who all served as slaves in Missouri. Learn about slavery today and what we should watch out tor…what we can do about it. These graphics are not directly from the up-coming talk on Adeline by Gladys Caines-Coggswell. Rather, they are to simply highlight some of the points in the life of Adeline. 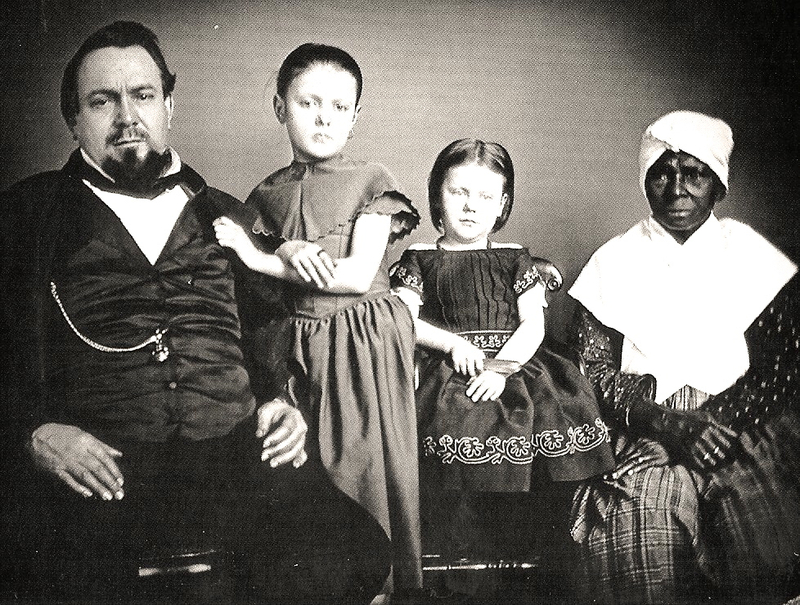 Adeline was a slave, she was present to hear Abraham Lincoln debate political opponent Stephen Douglas, was freed after the Civil War, and she chose to stay with the family to which she had been sold. Each graphic is linked to its web site of origin to attribute the source and for your easy reference to further material on American slavery and the American Civil War. This was a question from the audience after Gladys’ presentation, yesterday, February 10, 2017. The answer is not simple or straightforward. The brutal, full blown slavery that was represented in Gladsys’ story of Adeline yesterday, did not spring up in America in any particular year or colony. Full blown slavery took years of evolution to become what we today think of as slavery. In the early colonies, there was indentured servitude, even for black Africans, right from the start of American history. It was a status defined by contractual labor that ended according to the terms of the contract. An indentured servant worked for a certain number of years, usually without pay, for the “owner” of the contracted person. 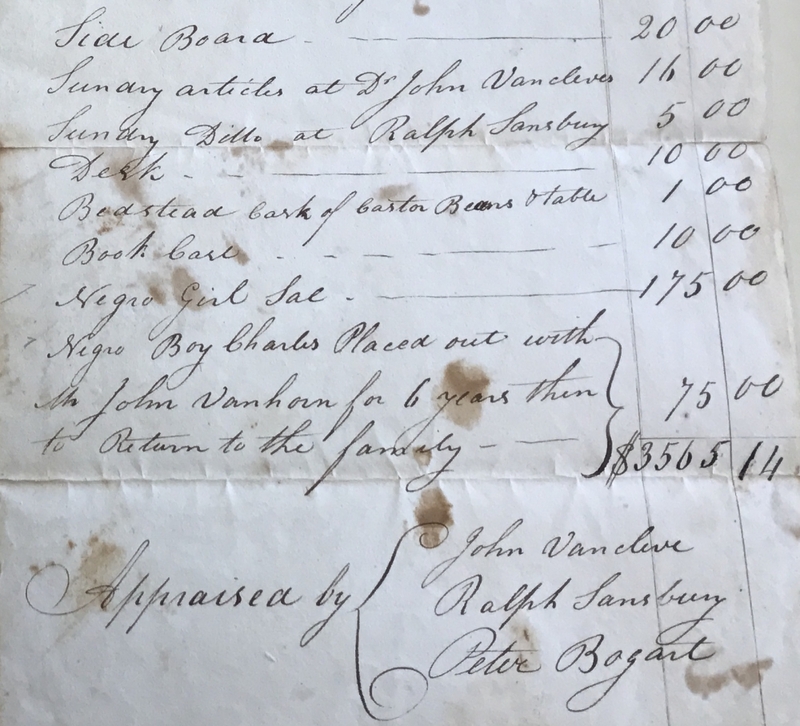 The arrangement was usually entered into so that the indentured person could pay off a debt such as the cost of passage on the ship from the old world to the new world. Over the years of early colonial America, full slavery evolved for Africans and was controlled by law and custom. Below is a brief quote from Wikipedia about the history of slavery in America. It shows that blacks were present in America from the very beginning of colonization and that they were indentured servants, not slaves. 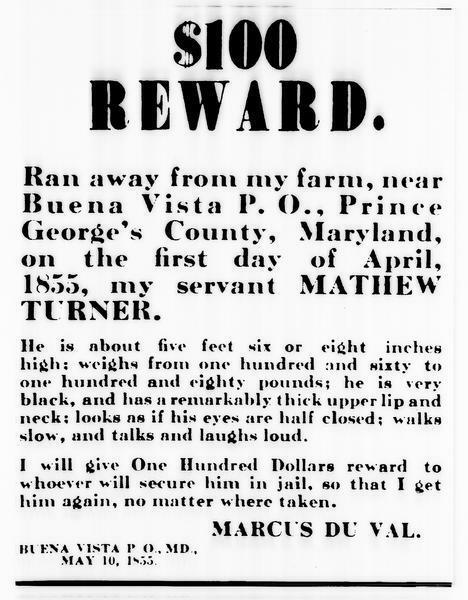 Read more in the Wikipedia article to learn how this status became full slavery enforced by laws and customs. The first 19 or so Africans to reach the English colonies arrived in Jamestown, Virginia in 1619, brought by Dutch traders who had seized them from a captured Spanish slave ship. The Spanish usually baptized slaves in Africa before embarking them. As English law then considered baptized Christians exempt from slavery, colonists treated these Africans as indentured servants, and they joined about 1,000 English indentured servants already in the colony. The Africans were freed after a prescribed period and given the use of land and supplies by their former masters. If this brief quote creates more questions for you about black African slavery in America, read more in the excellent article on Wikipedia. It will help you understand the facts behind the story of Adeline which Gladys Caines-Coggswell told us yesterday. Adeline and her family experienced the horror of full blown American slavery over multiple generations. It was a sobering story that brought something of the experience of slavery to the eyes and hearts of we 21st century white Americans who were in the audience yesterday. Thank you, Gladys! Tom Littledeer Weindl replied to the Facebook post about the start of American Slavery, stating that slavery of the indigenous population started well before Jamestown. This was another question from the Adeline presentation on Friday. The British abolished slavery in most of their colonies in 1833. In the preceding several decades, the British had tried to outlaw the slave trade, which for many years had been a highly lucrative business for British merchants. The efforts made progress. As for slave ownership in Great Britain itself, the British had never become so highly dependent on slavery as the United Stares had. Britain did benefit from the cheap cotton produced in the US for many years into its industrial revolution. 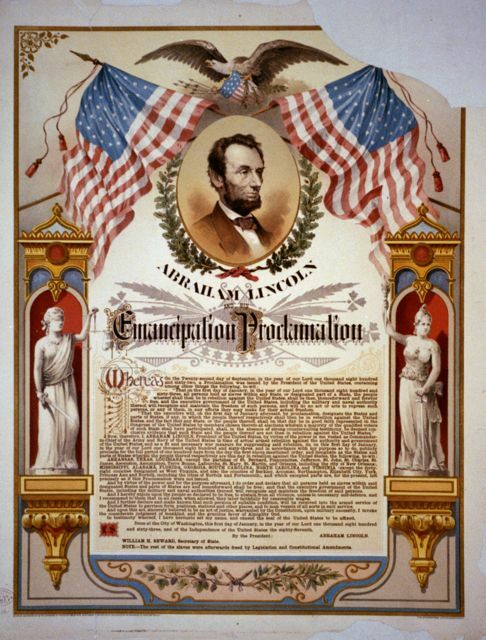 The Union and the Lincoln administration feared that the British would interfere more actively, or even openly to help the Confederacy during the Civil War. “Victoria” on PBS’s Masterpiece featured Prince Albert coming to the support of the British Anti-Slavery Society. In the February 12 show, Victoria’s new husband, Prince Albert, spoke at the Aniti-Slavery Society convention. He spoke out against the “barbarous trade,” the trade that took black Africans to the Americas as slaves. Prince Albert had been looking for “something to do.” Now he had found his purpose. The Abolition Project: Why was Slavery finally abolished in the British Empire? The story that Gladys Caines-Coggswell told of Adeline was one of deep loss. She and the preceding generations in her family suffered the loss of loved ones by forced separation. This caused them deep trauma and loss of self. After Gladys’ presentation, the audience seemed moved and asked a number of questions. 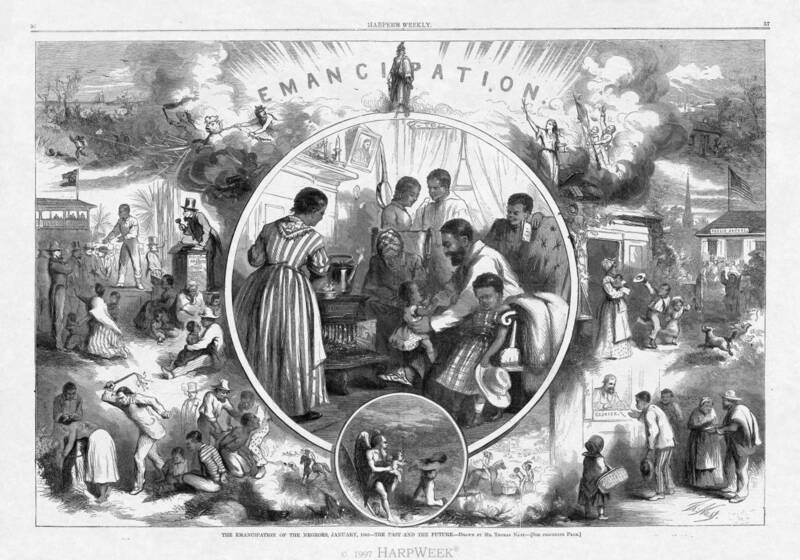 What are your feelings about the years of slavery in America and what questions do you ask? *These simple explanations of issues concerning slavery are by Stephen Hanpeter, SCHS.ws web manager and president of SCHS. These explanations do not seek to be authoritative, or represent the views of SCHS as an organization. Hopefully these questions are food for thought and that you seek further information on these issues that are still relevant for us today. January 29, 2017 in Daytime Presentation, SCHS Events.